Sorry, I don't have much to say here. If I find anything new and interesting then I will update the page. The focus of Practical Adhesion is not on classical structural adhesives - for the simple reason that I have had very little contact with that world. So much of the site is of little interest to those who are sticking wings onto aircraft; dissipation in PSA is of rather little importance. 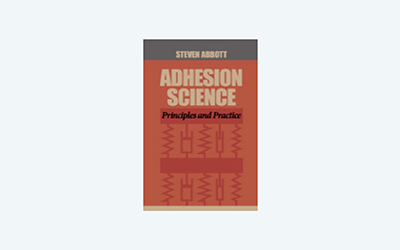 The important fact for structural adhesives is that anything to do with Work of Adhesion, W, should be almost irrelevant. If there is any sort of W dependence then things have gone badly wrong. Instead, what matters are the structural parameters as encapsulated in the Lap Test app. Here there is nothing on "adhesion" and everything depends on the relative bulk moduli of adhesive and adherend. In general, the higher the modulus of the adhesive, the happier the bond, because as Goland-Reissner shows the key stresses at the key points (the edges of the bond) depend crucially on these values. Because edge effects predominate, the structural adhesives people care passionately about the exact shape of the blob of adhesive at the edge. This can make all the difference in terms of focussing (or not) the stresses at this part of the bond. Although I'd love to expand the structural part of Practical Adhesion, so far my view is that the app-based approach is much better suited to the other types of adhesion and you really need to address structural adhesives via FEA. If anyone cares to help change my mind I will be happy to listen and learn!